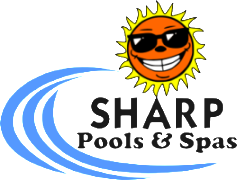 ﻿Beautify your swimming pool with a professional pool liner certain to make your pool into a spectacular backyard showcase. Professionally-designed, beautiful choices. ﻿Appearance and quality construction come together in a Merlin pool liner. It all begins with the design; many of our patterns are Merlin “exclusives,” developed in collaboration with professional designers whose creations reflect the latest in home décor and color trends. The result is a liner certain to make your pool the centerpiece of your backyard landscape. ﻿As varied as they are attractive, Merlin liners are available in both 27 mil and 20 mil thicknesses of 100% virgin vinyl – including our Value Max liners, which offers 27 mil thickness at 20 mil prices! All of our U.S.A.-made vinyls provide extra U.V. and antibacterial protection to look better, longer.